Is a Huge Untapped Opportunity! Most pet owners consider their companion animals to members of their families, just as (or even more) important to them as their parents, siblings and children. Yet, most estate plans treat pets as mere property and fail to address what will happen to these loved ones when the owner becomes disabled or dies. Since odds are that your clients and prospects are pet owners, this is a great opportunity for you to develop a new, rewarding and lucrative practice niche. Better yet, unlike Medicaid or Special Needs planning, pet planning doesn’t require lots of study and significant re-tooling of your basic, Living Trust centered practice. Join us and nationally renowned pet planning expert, attorney Eden Rose Brown, for a very special 90-minute program entitled “Develop a Rewarding Pet Planning Practice”. Eden Rose Brown, Esq. 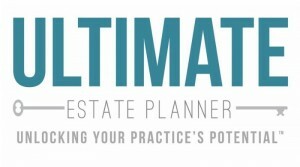 is dedicated to providing comprehensive, highly personalized counsel in wealth preservation strategies, family legacy design, and estate, tax and charitable planning. As the founder of Law Office of Eden Rose Brown, she holds the highest standard of client services, scholarship and lawyer accessibility. She serves her clients by first listening closely to their goals, dreams and concerns and then works with them to develop superior plans that reflect the clients’ own unique situations, while putting her knowledge and experience to work for their benefit. She is committed to helping her clients understand that the foundation of estate planning is not just saving tax dollars, but also appreciating the value of planning for themselves and their loved ones. 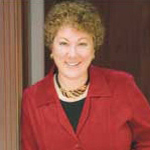 After receiving a Bachelor of Arts degree from the University of California, Berkeley, Ms. Brown went on to earn her Juris Doctor degree from the Northwestern School of Law at Lewis and Clark College. She is a member of the Oregon and Hawaii Bar Associations, the Probate and Trusts Section of the Oregon State Bar, the Judge Advocate Association, WealthCounsel, the National Academy of Elder Law Attorneys and the American Bar Association. She is licensed to practice law in Oregon and Hawaii and is admitted to practice before the United States Court of Military Review, the United States Court of Military Appeals, the United States District Court for the Western District of Washington and the Supreme Court of the United States. A respected teacher, author and lecturer, Ms. Brown has appeared as a guest on radio and television and enjoys speaking locally and nationally to professional advisors, charitable organizations and the public. She maintains the highest level of knowledge and expertise through ongoing continuing education and frequent attendance at national conferences on advanced planning topics. She is recognized by Worth magazine as one of the nation’s Top 100 Attorneys, is designated an Oregon Super Lawyer by her peers, and is included in Marquis’ Who’s Who in America, Who’s Who of American Women, Who’s Who in American Law and Who’s Who in the World. She is currently a candidate for a Laureate in Advanced Wealth Strategies certificate from the Southern California Institute’s two-year Laureate in Wealth Strategies Certification Program. A dedicated philanthropist, Ms. Brown has served as a director on numerous boards, including Chemeketa Community College, Cedar Sinai Park, The Oregon Jewish Community Foundation, Willamette Humane Society and the Marion-Polk County Medical Foundation.